Shield of the Silver Knights of Anor Londo. A flowing canal is carved deep into its face. 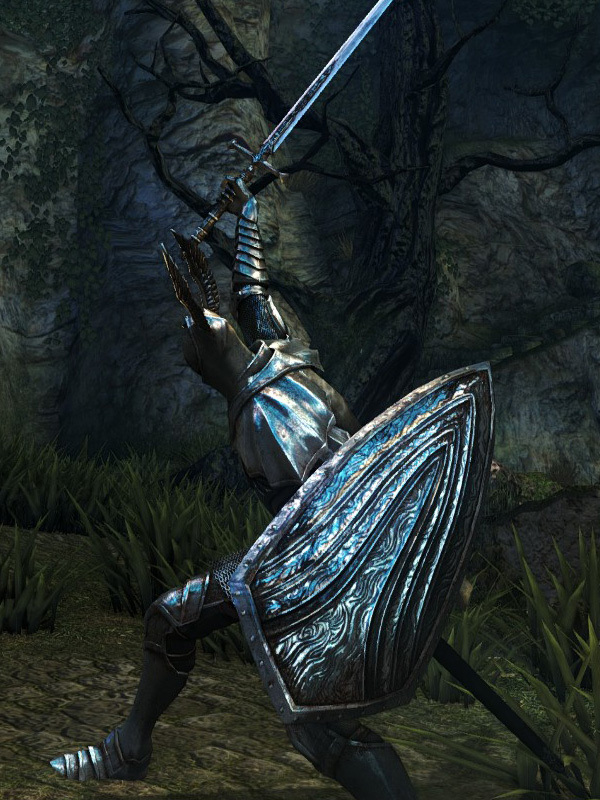 Fully upgraded, this shield offers one of the best stabilities of all Normal Shields at 76 stability, second to the Crystal Balder Shield, but without the need for Titanite Chunks.